All new dual language editions of this book are TalkingPEN enabled, see FreeLINK for available audio. Who says only girls can be angels? Angels can do all the things that Alfie wants to do. If he were an angel he could fly to school, sing and dance in the choir, and fly around the football pitch scoring goal after goal. Will Alfie's dreams of being an angel ever come true? This is a charming story in dual language about daring to do the unexpected. Alfie's inspiring individuality makes this text useful for discussing identity and independent thinking with Key Stage 1 readers. 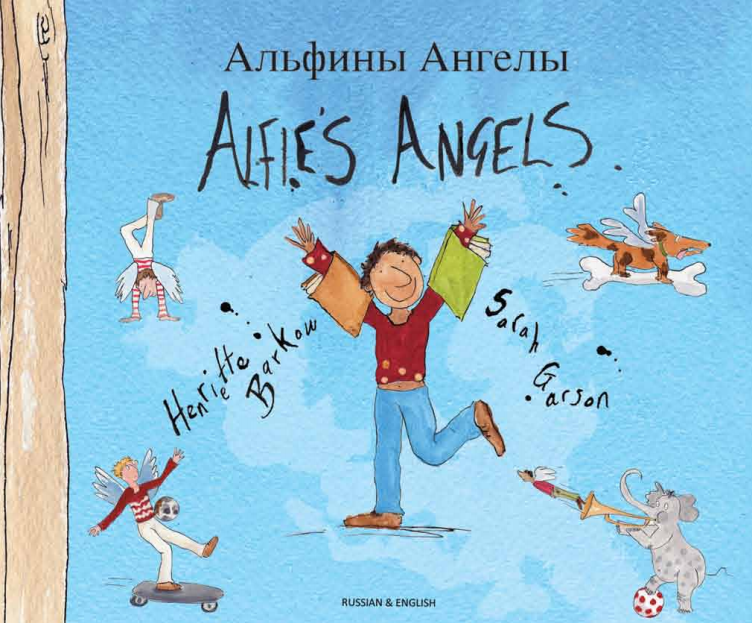 For older children 'Alfie's Angels' is a perfect stimulus for introducing issues such as gender roles and stereotypes in the classroom.